The Connector Gallery (Service Connectors page) makes it easier to connect to your favourite services. It gives you a starting point with a sample query and resources to customize the query as needed. The Connector Gallery introduces two important steps in the data creation workflow. 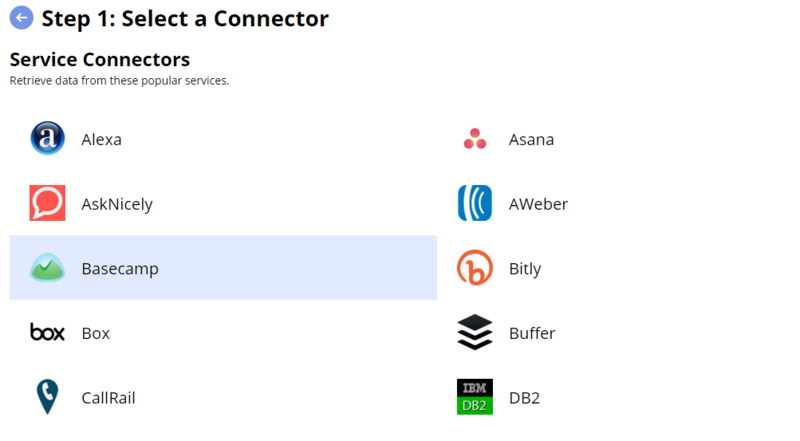 First, when building a custom Klip or creating a data source, you're given a list of services with which you can connect. Second, when you select a service, you have a user-friendly interface that makes it easier to perform your API request. As you set up the connection, you have access to relevant documentation, which usually includes our help articles as well as the documentation for the specific service. Most importantly, you're given a sample query URL as a starting point. 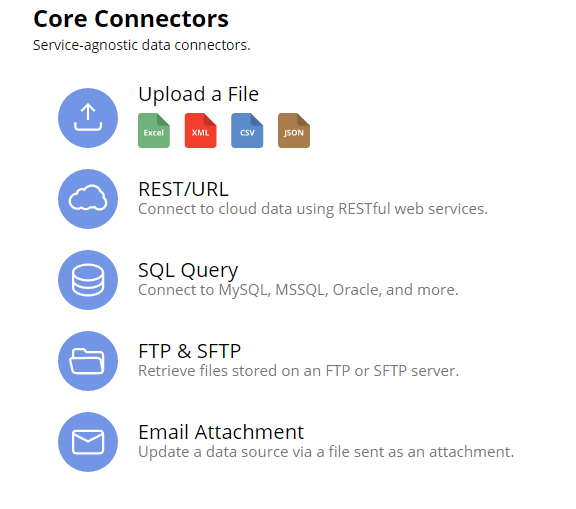 Core Connectors are service-agnostic data connectors: use them to upload and connect to all types of data. They are perfect for uploading data from your computer or connecting to a service you don't see in the Connector Gallery. Core Connectors are not associated with any particular service. Here are some additional resources to help you connect successfully to data sources on the web.